Mounting Center Distance B 2.2 in. Fastener Hole Diameter 0.188 in. Packaging Dimensions 3.3 in. x 3.3 in. x 2.5 in. 2 answers Greetings, I have a Hot Rod Deluxe in almost new condition I bought used, have owned for several years and never used because there is a dull buzzing of constant static. The Fender part number should be printed or stamped into the transformer itself. This transformer is equivalent to Fender part # 050438. In terms of installation we can not provide guidance or technical support. We would allways urge you to seek a qualified tech when dealing with high voltage. The Fender part number should be printed or stamped into the transformer itself. This transformer is equivalent to Fender part # 050438. In terms of installation we can not provide guidance or technical support. We would always urge you to seek a qualified tech when dealing with high voltage. 1 answers Hot rod deluxe loud hum! all my test points are way off!. hum is not effected by volume knob no instrament connected. very distorted when played. Showing 30MV at speaker test point says supposed To be 4.5v I think don't have schematic at moment. does that sound like a bad output trans? We are not techs here at Antique Electronic Supply and with that in mind; we can not offer you technical advice. Please contact a qualified amp tech to properly diagnose your amp. 1 answers Do you have a complete datasheet for this transformer? This is a genuine Fender part intended solely for use as a replacement in the Hot rod Deluxe. For this reason fender does not provide a spec sheet beyond the one provided on this page. Unfortunately we can not take any readings on this transformer. 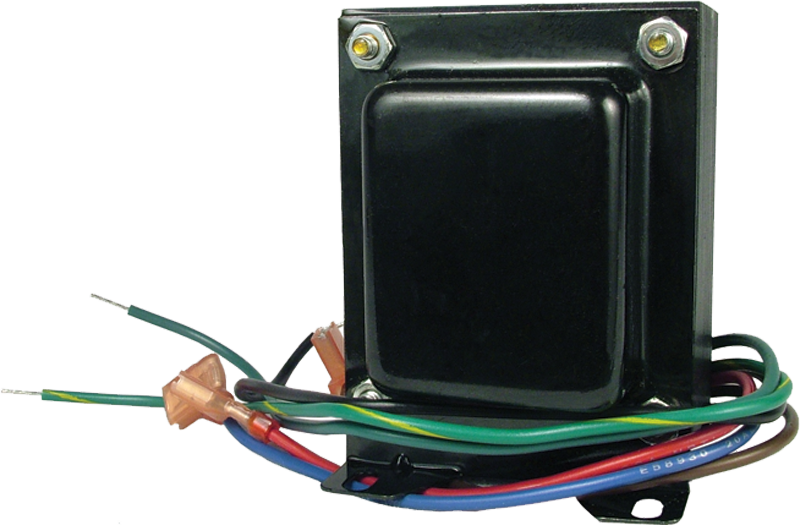 If you need an output transformer for a Hot Rod Deluxe then this will work. 1 answers Hi, I have a Fender Blues Deluxe and I would like to know if this transformer will works for my amp. I have this number printed in my amp transformer: D-0050438000. If not, do you have a link to get the one that match? Thanks. We do not know if this is compatible with the Blues Deluxe. 1 answers Hi, I need an 'export' Power Transformer for a HotRod Deluxe - the part number is C-047395 and the dead one I'm trying to replace is dated 606-032 so I'm guessing it's from the year 2000. Do you have a replacement? We do not have sufficient cross reference materials to verify if we have an ideal replacement for your transformer. You may need to contact the manufacturer direct. I used the Fender Hot Rod Deluxe transformers in a custom built Hi-Fi single ended audio amplifier. Was amazed at the frequency range these transformers can handle compared to others of similar cost. I can say after attaching the scope to the outputs of the amplifier, the human ears can't go high enough in frequency for this transformer! I stopped testing with my O-scope after 40Khz and probably could have gone a little further. Lows are also great too but my amp is limited to around 70HZ. Grrrreat XFMR!